As new residents of Vancouver, both Nick and I were eager to get out and explore this past weekend. 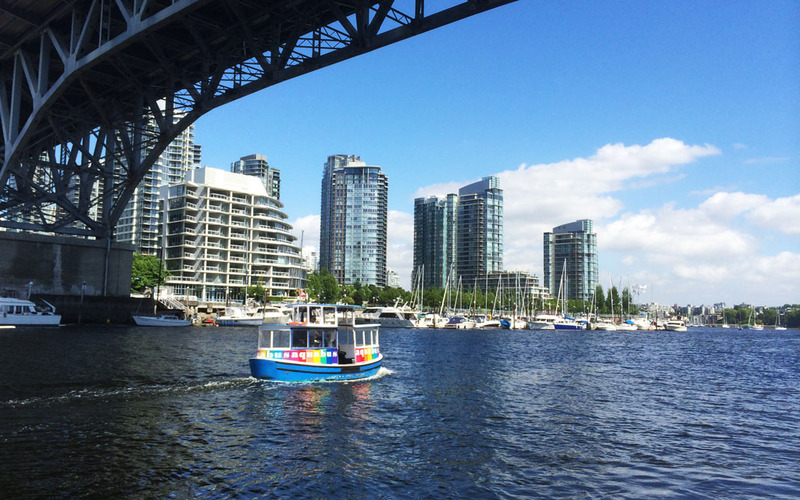 Luckily for us the sun was shining bright as we made our way over to Granville Island via a very sweet looking and gently moving ferry (otherwise known as an Aquabus), to taste test our away around the island’s iconic food market. What a gastronomic adventure it truly was! 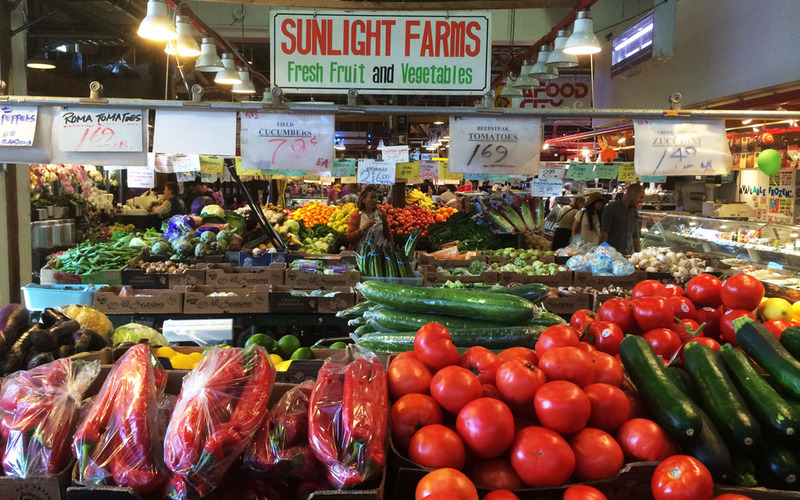 From the moment we stepped foot into the Granville Island Public Market I knew we were in absolute foodie heaven. Indeed, it contained everything I love about food markets: fresh, seasonal and local produce, ethnic diversity (you can find practically every type of food imaginable), high-quality fare, and a buzzing atmosphere. Housed indoors and open from 9am to 7pm each day, the market is home to a seemingly endless row of stalls that overflow with deliciously ripe fruits, trays of tempting baked goods, specialty prepared foods, farm fresh produce, deli meats, artisan cheeses, local wines, unique sauces as well as a whole range of other foodstuffs. 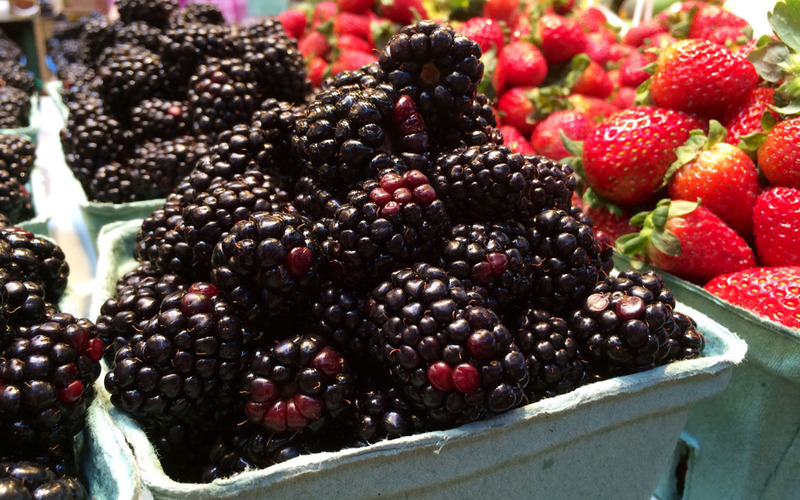 It didn’t take me very long to work out why Granville Island Public Market is considered to be a top food destination in Canada, let alone in Vancouver for visitors and locals alike. 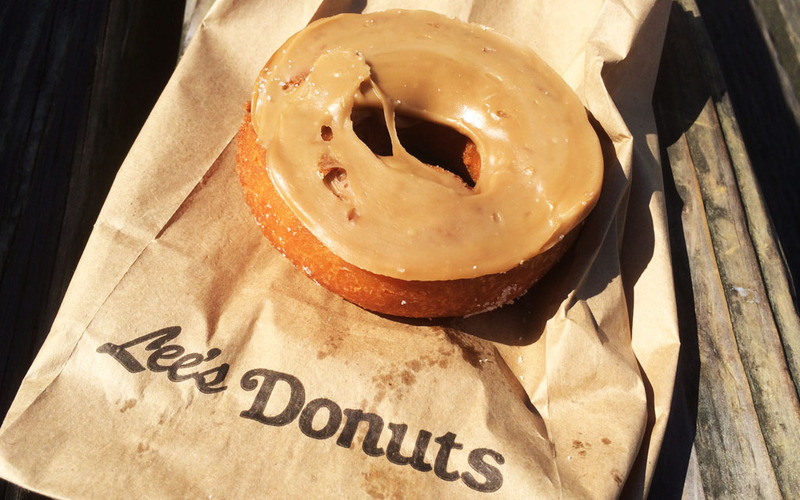 Everything we tried, from the maple syrup covered doughnuts to the spicy Italian sausages was bursting with flavour. As such, I was not surprised to hear that the market receives over ten million visitors a year. Fortunately our visit to the market coincided with lunch, so after a few cheeky laps around the stalls, Nick and I headed outdoors and found a sunny spot by the waters edge, where we nibbled away at our basket full of market goodies. As we ate and chatted under streams of sunlight, I could not think of a better way to spend the afternoon. Not only is the food market a great spot to eat lunch, but it is also the perfect place to browse, pick up dinner or do a weekly shop. Thankfully Granville Island is a short boat ride away from our new apartment in Yaletown, or if we’re feeling energetic a 25 minute walk, so hopefully the market will become a regular outing for us. 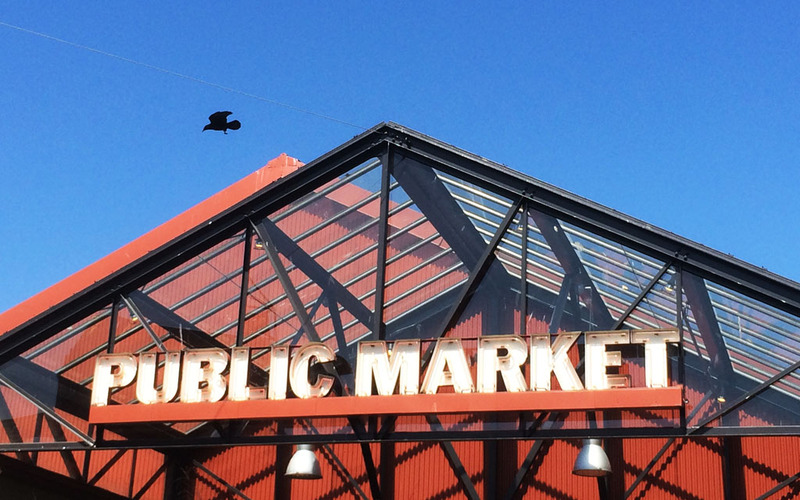 Granville Island Public Market has certainly whet my appetite for more sightseeing and food exploration in Vancouver, so here’s to many more foodie adventures in the city! Tip: To avoid the bustling crowds on the weekend plan a visit to Granville Island during the week, where a more relaxed setting is almost always guaranteed. Ooooo, amazing! Looking forward to more and more Vancouver posts, Jess!